I would like to see the actual speed limit somewhere in the map display. Do you have enough info in your map database to handle such feature? yes this is a frequently asked feature and already on our todo list. Especially in central Europe the OSM data should be detailed enough for this. You can find more information about the data we use here. Sehe ich auch so wie Vincent. Wäre klasse, wenn man die Anzeige hätte. Dann ist der nächste Punkt den ich mir wünschen würde auch erledigt. display speed limit at any time is a must have while riding your motorcycle. Thank you in advance to do this for the next release. Is there any news on the subject about when we should be able to see the speed limit in the zone we are in ? Many thanks in advance as this is important and is more or less the only weak point of the app against a GPS device. Is there any news on the subject about when we should be able to see the speed limit in the zone we are in ? No sorry no news, it’s still on our todo list :). ok thank you, let us know when you can tell us about a possible date of availability. Thank you for the effort made to make this app a great app in it’s field. Speed limit available for next motorcycle season ? Anyone tried this with Kurviger? 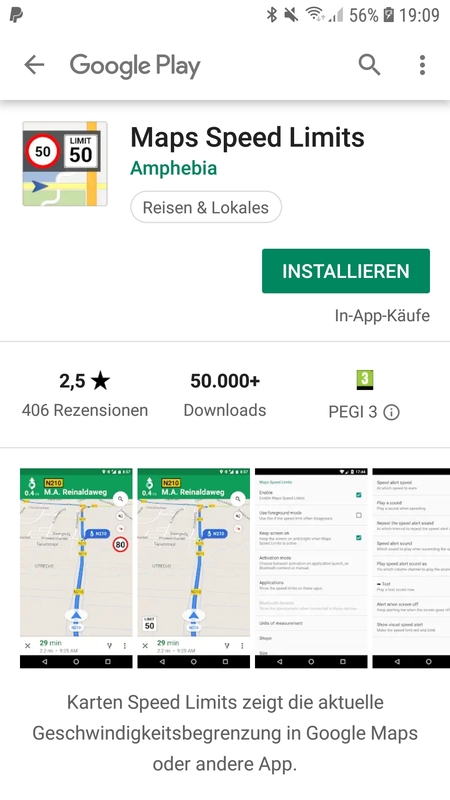 Edit: Unfortunately, when reading the reviews, Maps Speed ​​Limits does not seem to show correct limits. Too bad. The apps data is based on OpenStreetMap (OSM) data. I assume most issues with incorrect speed limits are because there is no or a outdated speed limits tagged in OSM. The only way to improve this is to improve the OSM data. So with our integration of speed limits can expect similar outcome depending the region OSM data? I haven’t tested the app, so I don’t know what they are doing, but I think they might be doing something suboptimal. 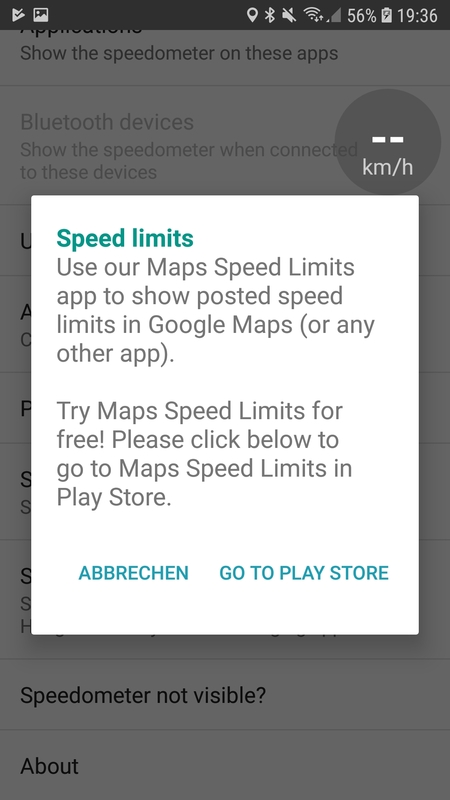 Other apps show maxspeed based on OSM and I haven’t heard that many complaints. 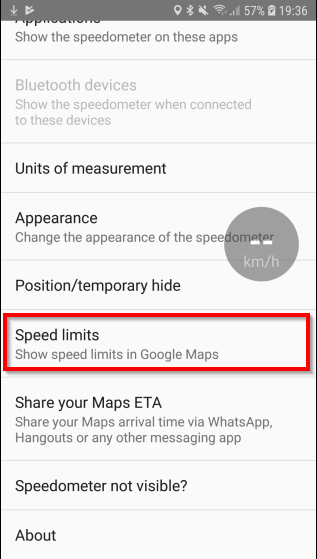 It will also depend on if we choose to show implicit speed limits (not tagged -> fall back to default) or if we don’t show implicit speed limits. In many places maxspeed is not tagged, because it is implicit and mappers don’t think it’s necessary to add. It’s a trade-off, in some places no one has entered a speed limit, so if we show implicit speed limits, it might be incorrect. So in most cases it will be better to don’t show a speed limit (with some rar exceptions). The coverage of maxspeed tags in OSM can be seen here - just zoom to the area of interest and click on run (top-right). There is also a nice visualization tool here. 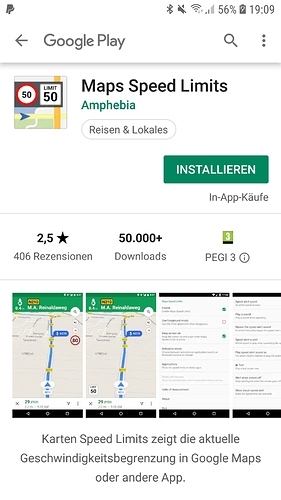 it seems you need to activate the service with a toggle, you also have to say on which programm you want to see the speed limit (kurviger + kurviger pro in our case), after 7 days it cost around 3 chf / year it seems. I tested it for a few days, in my opinion,it is not accurate to 100% but it is usable and acceptable as long as it is not develloped inside kurviger pro. I’m ready to pay a higher price for kurviger pro if this is inside it. Frequently I experienced my “mental risk” to trust speed limit displays offered by several apps.